We Welcome New Patients and their Families! Your initial visit with us begins with one-on-one time with the doctor. We will provide a very thorough exam for you including digital photos of your teeth, oral cancer screening, and gum disease screening. This visit is a great time to tell the doctor any concerns you may have or explain any dental discomfort you may be feeling. You and the doctor together will come up with a customized dental treatment plan. We always encourage you to ask questions. Each team member specializes in certain areas to provide you with optimal care and an exceptional experience. Being well-prepared for your appointment will ensure that the doctor has all of the needed information to provide the best possible care for you. We can email you new patient form so you can complete them at your own leisure prior to your appointment. Please call us to have them sent to you. Before you come see us, feel free to educate yourself on your dental concerns or symptoms by reviewing the content on this Web site. 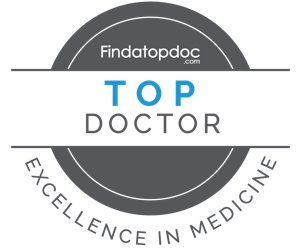 Take some time to review our staff page and familiarize yourself with the doctors and their awesome team. We look forward to meeting you! Our team at Killingly Dental Care serves Windham County of Connecticut including Danielson and the villages of Attawaugan, Ballouville, Dayville, East Killingly, Rogers, and South Killingly. We also have may patients that travel from afar including Rhode Island, Massachusetts, and all areas of Connecticut. Please give us a call and speak with our patient coordinators for directions, insurance information, or any other questions you may have. We are here to help! Our clinicians at KDC ask 48 hours notice for a change in scheduling. Without 48 hours notice, a charge of $40 will be billed. There is often a wait list to be seen at our office and any last minute cancellations could have been offered to those waiting to be seen. Thank you for understanding, we value the time of our patients and our team. You can let us know how you’d like to be reminded of your appointments; call, text message, or email!